Mark your calendars now. May 20th, 2017 is Arlington County's first Bioblitz, and you can participate and contribute. A bioblitz is a quick, but intense, biotic survey completed within a 24 hour period. Consider it a snap shot in time of what plants and wildlife are found in a certain place during that period of time. While this is certainly not a complete record of what lives there, it provides a vital look at what is there during that period. If you get enough snap shots, then you can get a clear picture of what's there. The Arlington Bioblitz will kick off many more surveys where we will check on previous records and see how those plants and animals are doing (and get an idea of how our Natural Resources Management Plan has done). But we will hopefully also find new flora and fauna that can influence what the new Natural Resources Management Plan update will include. Some of this will be done by County staff, some by contracted experts, and much more with the aid of volunteers and citizen scientists. So what is planned for Arlington Bioblitz May 20th? Our field base will be at Barcroft Park, one of several parks that we have planned for surveying. These parks also include Glencarlyn, Long Branch, Gulf Branch, Tuckahoe, Fort CF Smith, Bluemont, even our colleagues at Potomac Overlook will be hosting teams. We have some experts that will be leading some very interesting searches for mammals, reptiles, amphibians, fish, macroinvertebrates, birds, plants, and some insects such as bees. Most of the teams will be conducting their inventories from 10am-4pm, but a few such as the birders will get an early start. Want to help conduct some citizen science that day and join us? 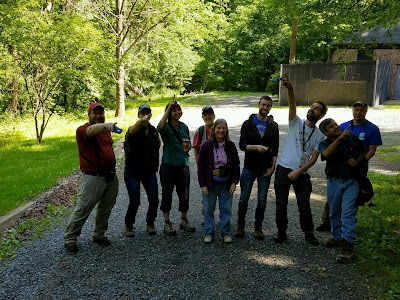 Start by checking here: https://environment.arlingtonva.us/events/arlington-bioblitz-a-wildlife-and-plant-inventory/ We also have a kickoff event, explaining a bit more about what and why we are doing this and other biotic surveys scheduled for the evening of April 18th. You can find out more about that event here: https://environment.arlingtonva.us/events/plants-and-wildlife-of-arlington-county-bioblitz-kickoff-celebration/ . Want to lead a team or get even more info? Contact Arlington County Parks Natural Resources Manager Alonso Abugattas at either AAbugattas@arlingtonva.us or by phone at 703-2287742. 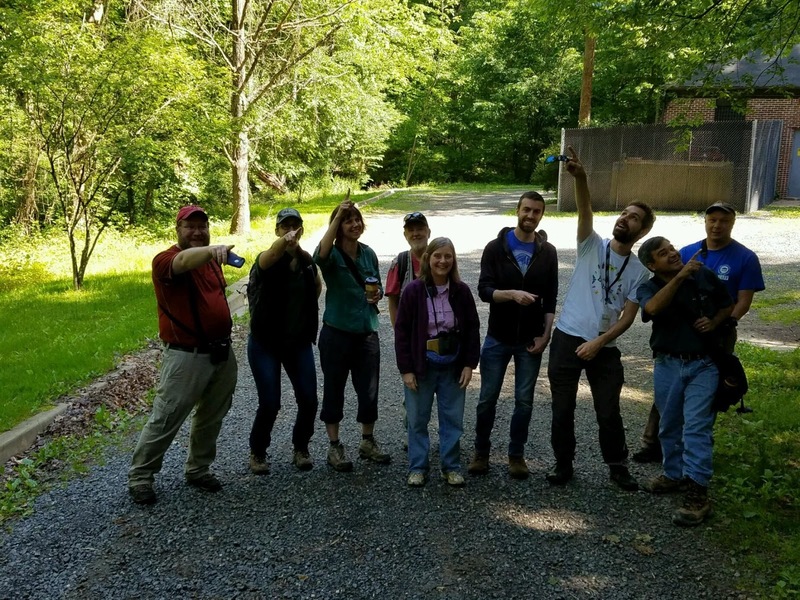 Participating in a bioblitz is not only a lot of fun, but provides some valuable citizen science. Recording these nature discoveries helps us know what we have and how we can better protect them. But it is also a great hands-on way to learn from experts and one another, all in a social and and informative manner.